A naked put is an often named and very popular way of professionals to boost returns of their investments. At the same time also the investor could also try to take a position in the underlying at a cheaper price than currently quoted on the market. Simply stated, a naked put is nothing more than writing/selling a put option. A naked put option writing strategy is often used when it is expected that a certain underlying. For example a stock, that is expected to remain flat or only move upwards or downwards to a limited extend. 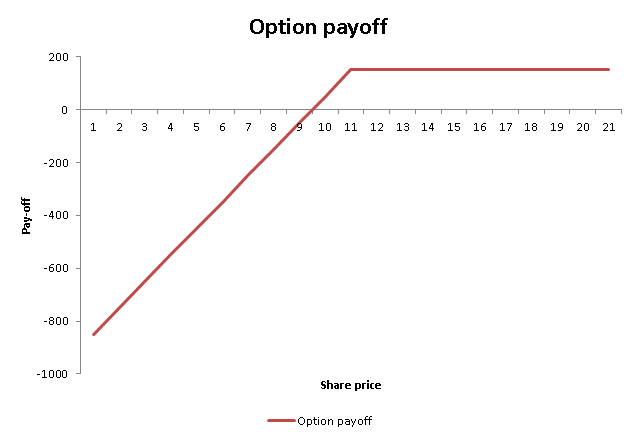 First, it is important that a also put on a share usually represents a multiple, often 1 put represents 100 shares. Hence for risk management purposes, e.g. margin calls, an investor should strongly be aware of this multiplier . Additionally, since the put has a limited lifetime, an additional return is earned gradually when time passes by. This return is received upfront by means of a premium paid by the investor who is long the put. Note, that covered call strategies cap your upside potential during the time the call is in place, while almost all of your full investment is still at stake. How to write a naked put? A naked put is simply created by selling a put option on an underlying with a certain strike price and time to expiration on the financial markets. Option selling is largely available among many brokers and can thus be easily achieved. Note that option are contracts with respect to a multiple of the underlying, for shares this is usually 100. A naked put has the benefit of having the same payoff structure as the covered call strategy but has as benefit that less transaction costs will have to be incurred. This is because the payoff structure can be reached by simply entering into 1 position. It also allows an investor to gradually earning a premium over time which could be based on an interest in having a position in a certain underlying. Hence, a naked put allows an investor to possibly enter into an underlying position in the future at a lower entry price if the put option is exercises. This lower price is realized through the payment of the strike price minus the premium which is lower than the share price today. A naked pution option writing strategy is a simple strategy implementable by going selling just a put option. The put option seller has the obligation the buy a certain underlying in the future at a certain strike price if a counterparty exercises his option. For this obligation, the put option seller receives a premium upfront.